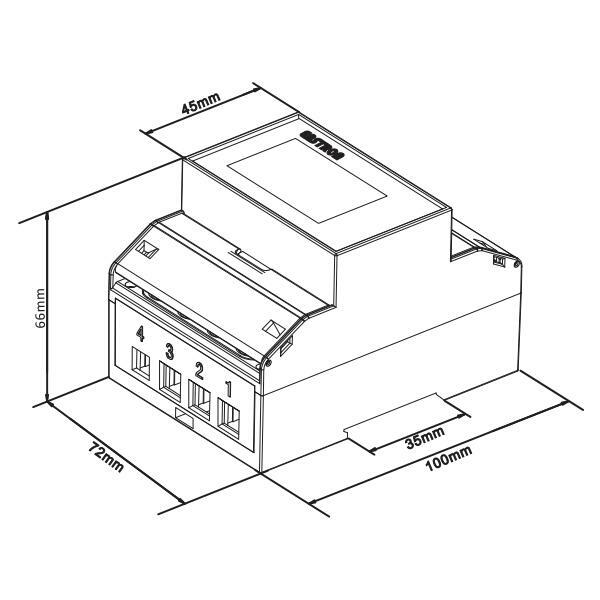 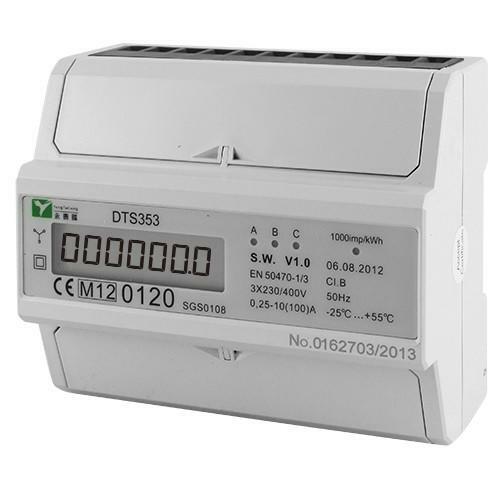 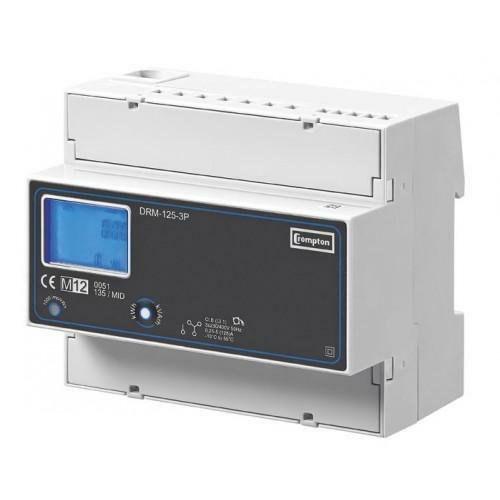 The SDM72D is a great value 100 Amp, 3 phase, DIN rail meter. 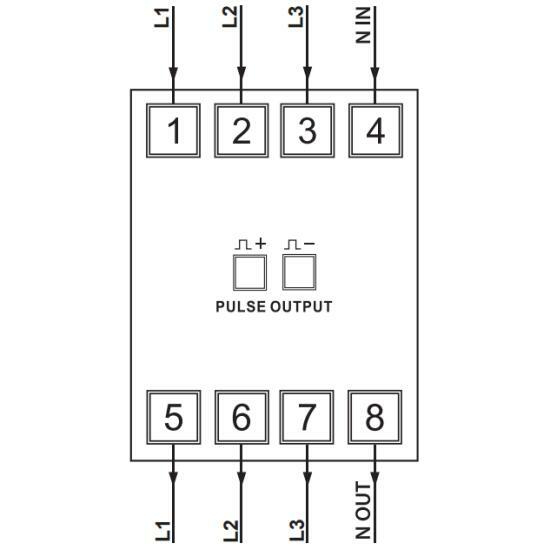 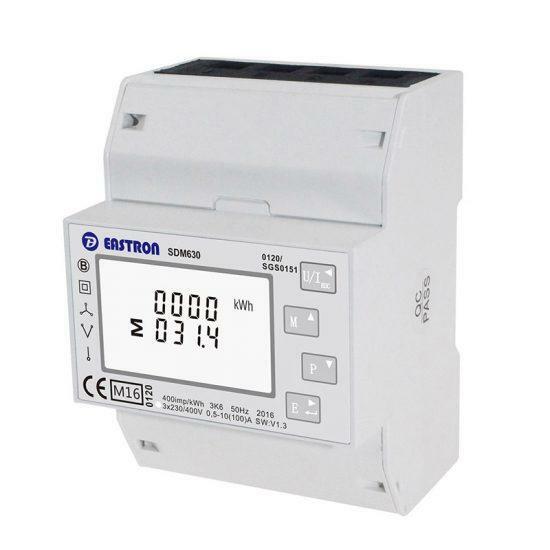 Measuring 4 modules wide, this meter is MID approved making it suitable for billing purposes and it also comes complete with a pulse output. 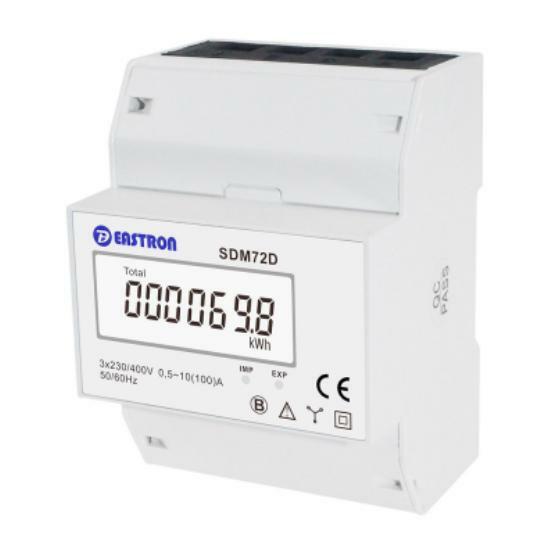 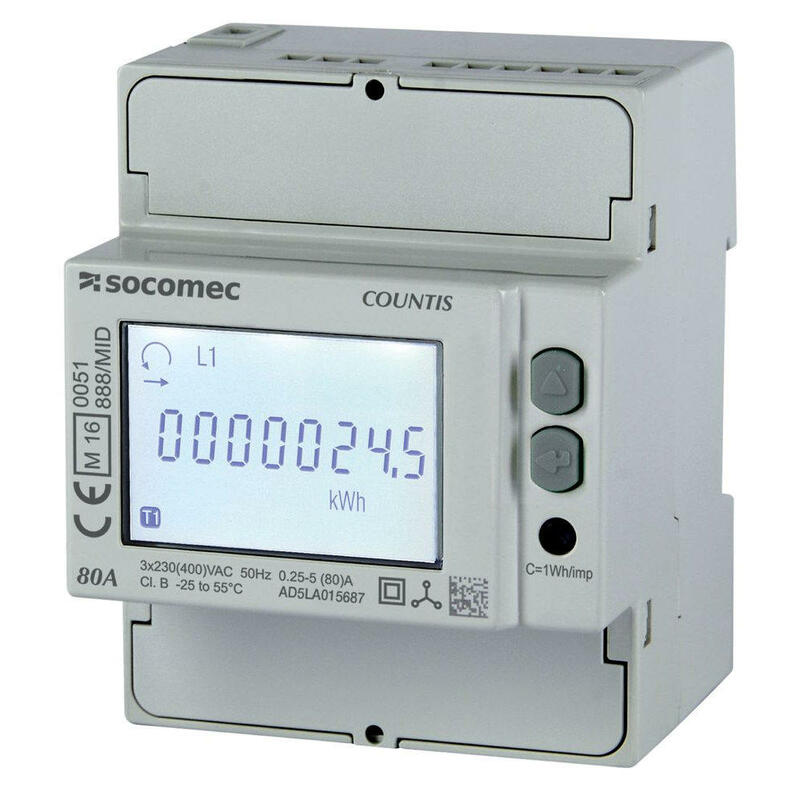 It displays Energy (kWh) on its 6 + 1 LCD screen making it ideal for customers who require a very simple metering solution.